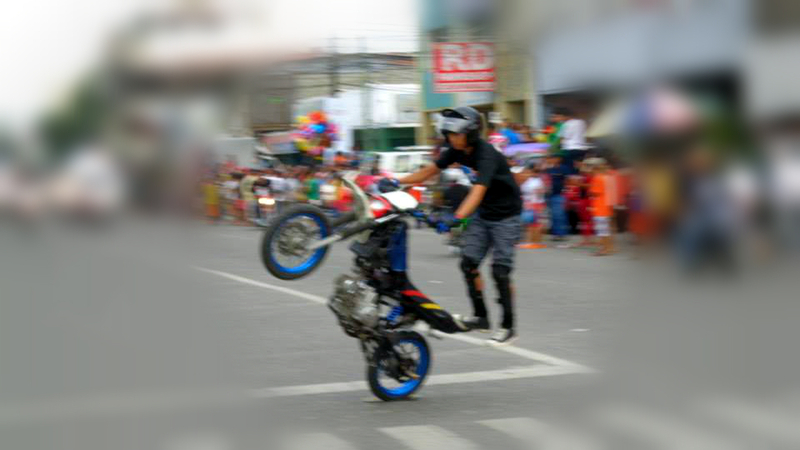 The festivities started last September 5, 2013 at 3PM. 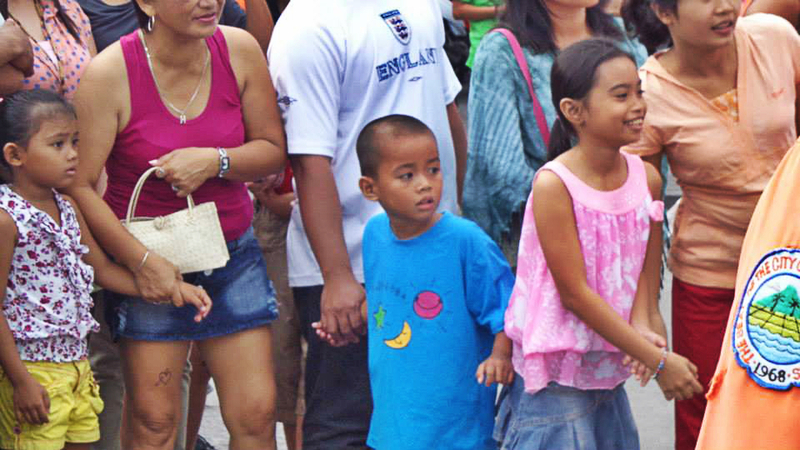 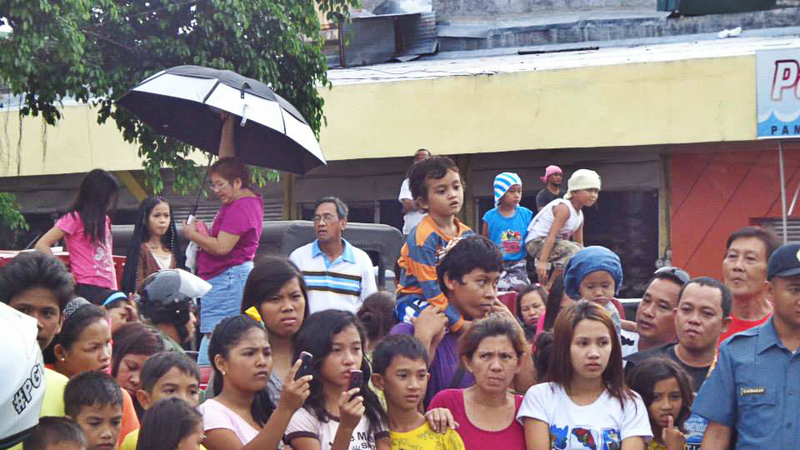 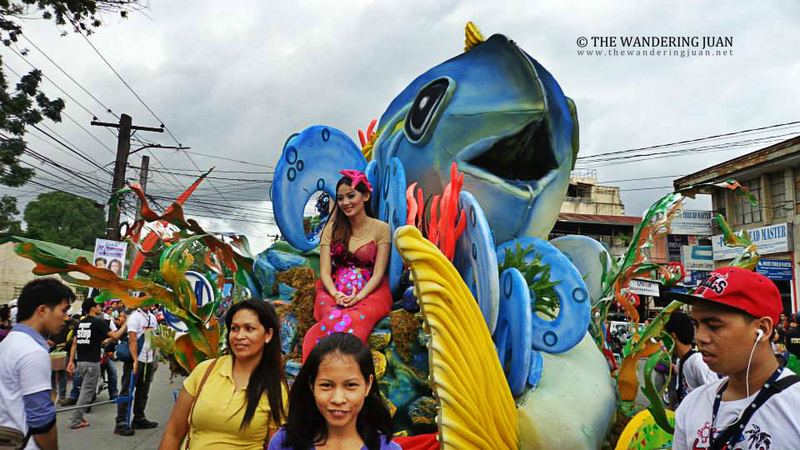 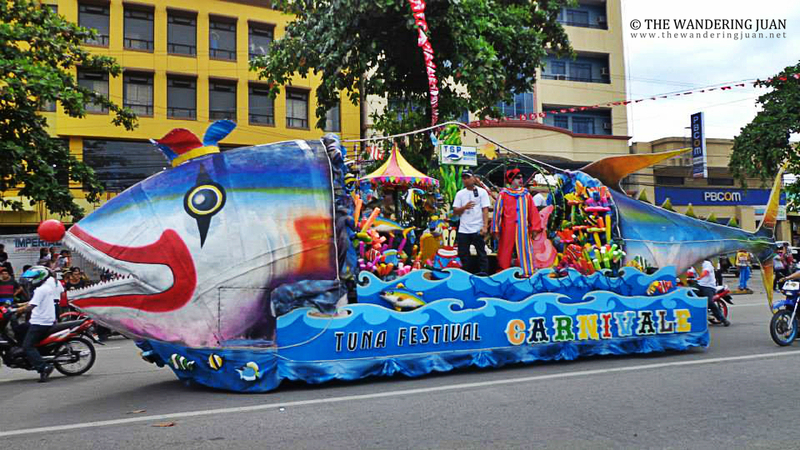 Tuna is the prized product of General Santos City that is why there is a yearly festival for it. 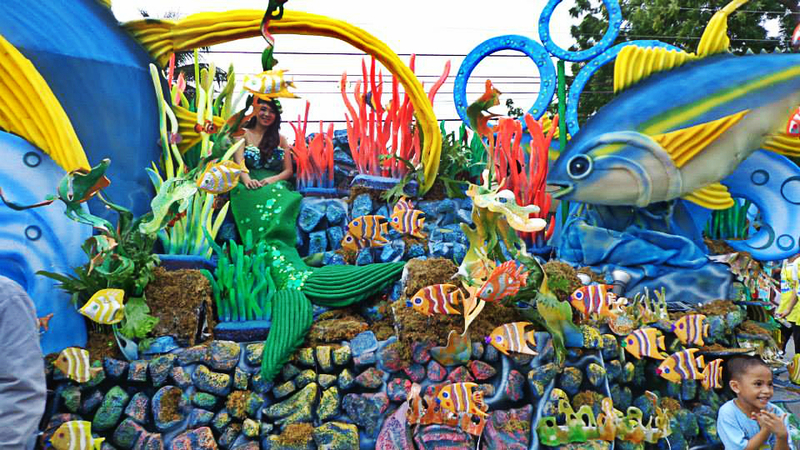 Everyone was eagerly waiting for the parade to pass Pioneer Avenue. 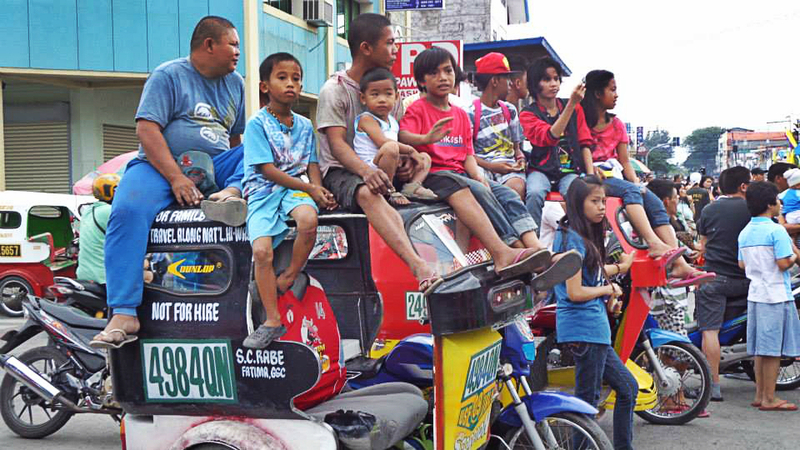 People stood on roof tops, and sat atop tricycles just to get a better view of the parade and the festivities on the street. 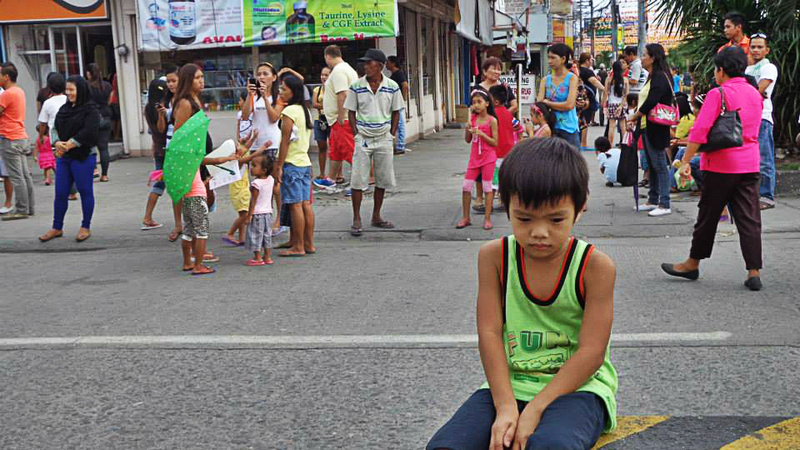 Apparently, not everyone was excited about the festivities. There was a motorcycle exhibition before the parade got to Pioneer Avenue. 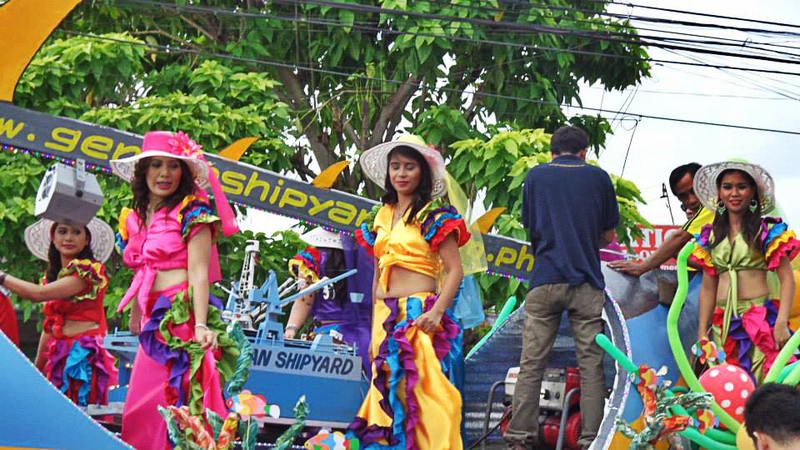 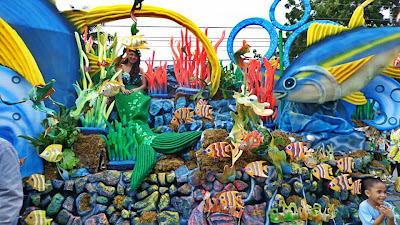 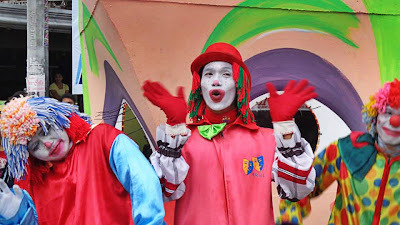 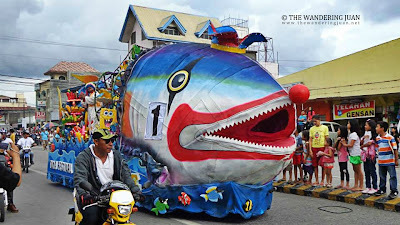 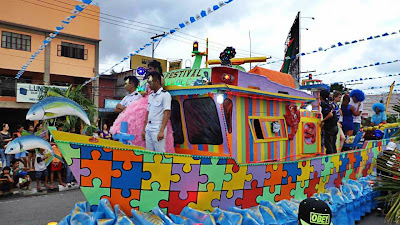 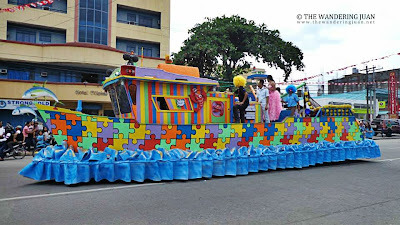 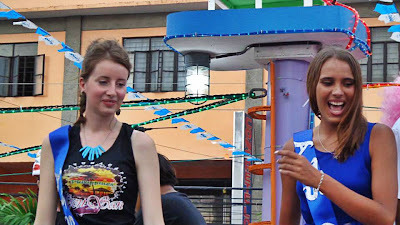 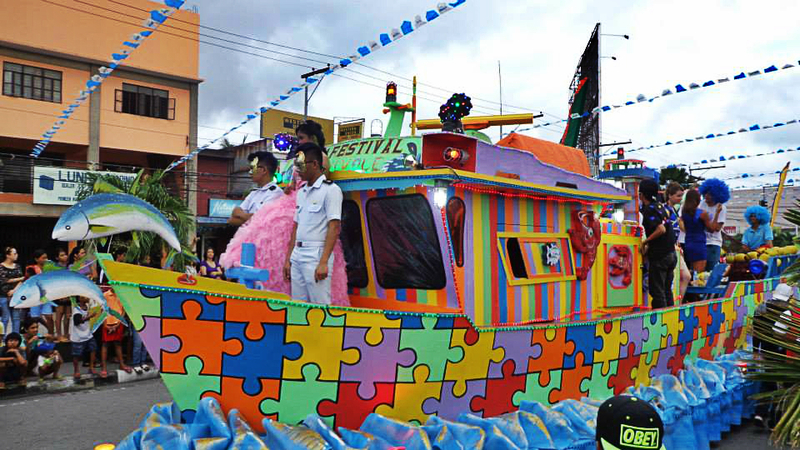 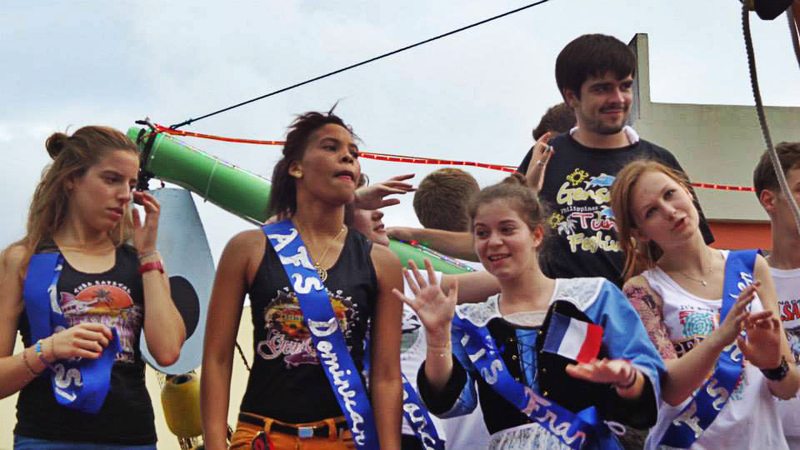 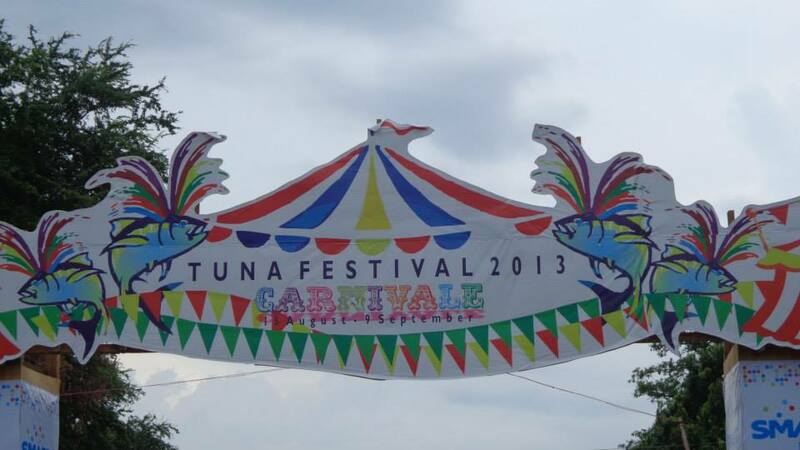 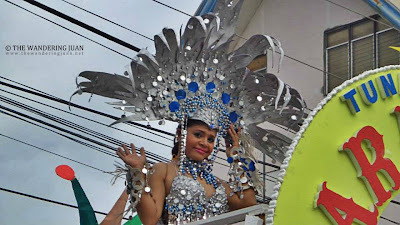 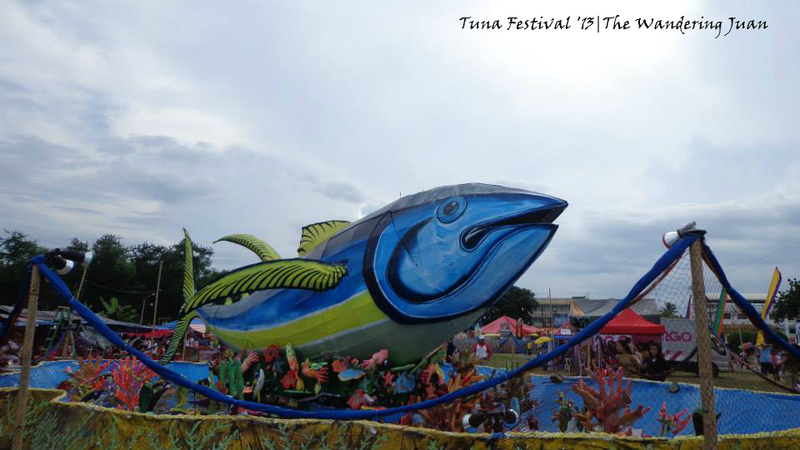 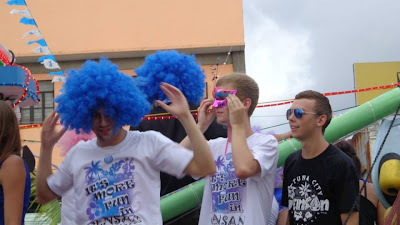 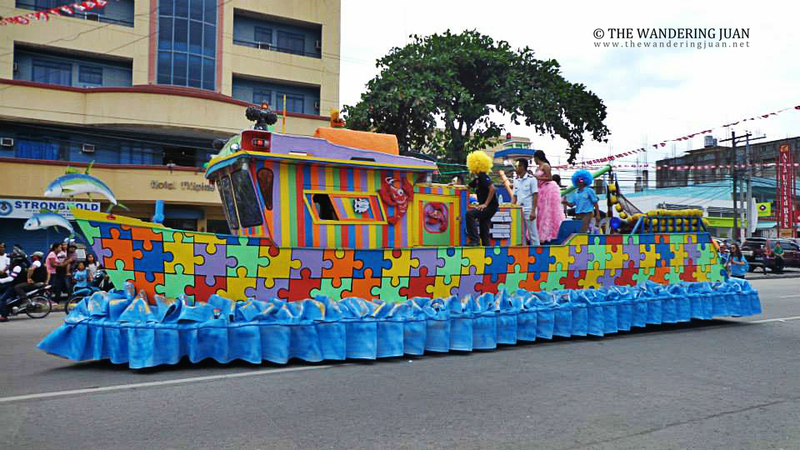 The theme for this year's Tuna Festival was Carnivale. 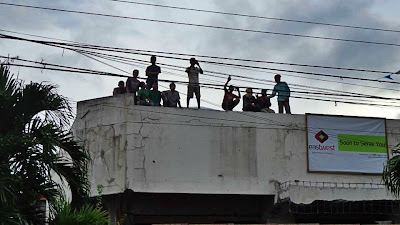 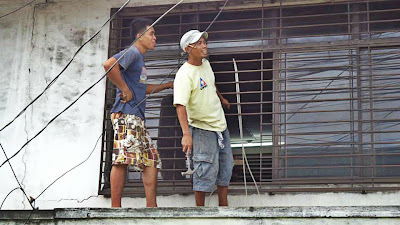 Even people stood on top of buildings just to get a glimpse of the festivities. 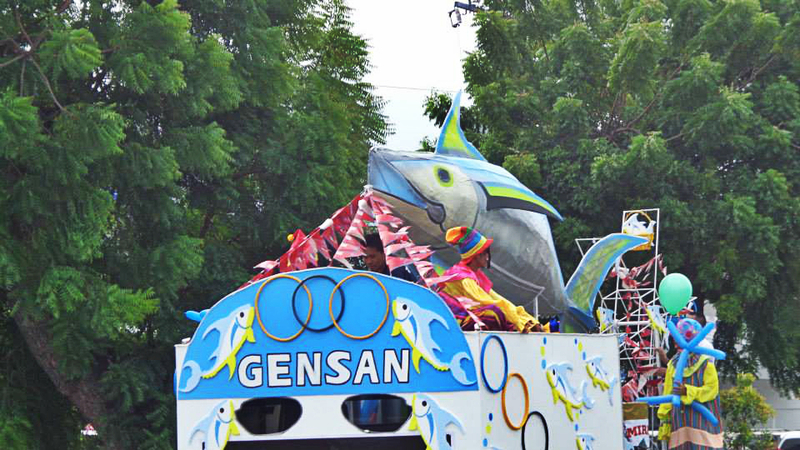 Loud music was blaring and everyone was having fun as the floats paraded through Pioneer Avenue till the Oval Plaza. 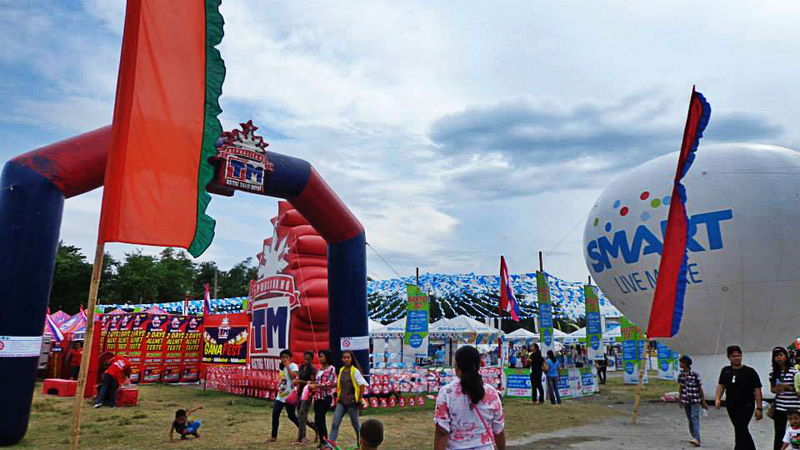 The Oval Plaza was readied for the festivities. 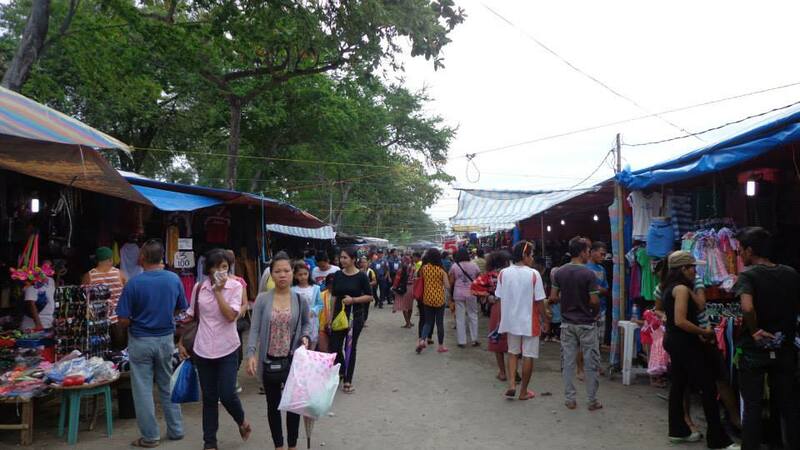 Stalls that sold items for P5 and up lined the plaza. There were also restaurants that served finger food, and of course, tuna. 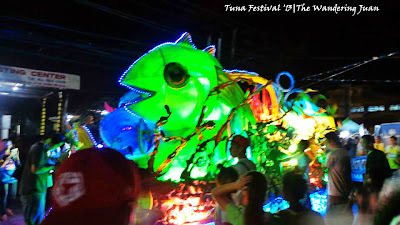 The festivities lasted till late at night. 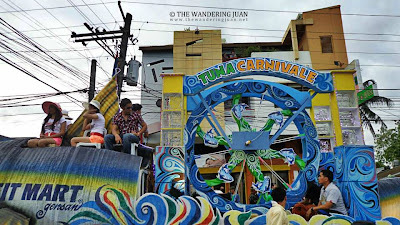 There was a live band, blaring music, barbecues, and carnival rides. 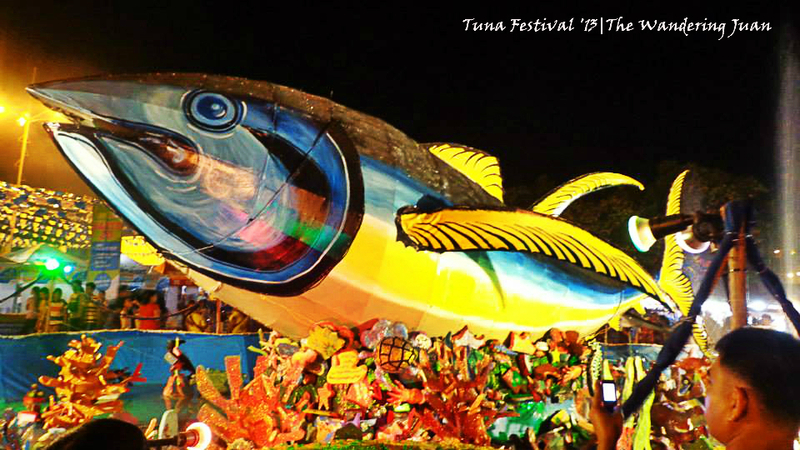 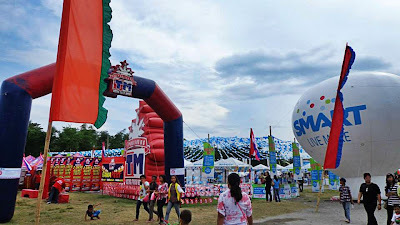 Being the first local festival I got to attend, Gensan's Tuna Festival will be something I won't forget.